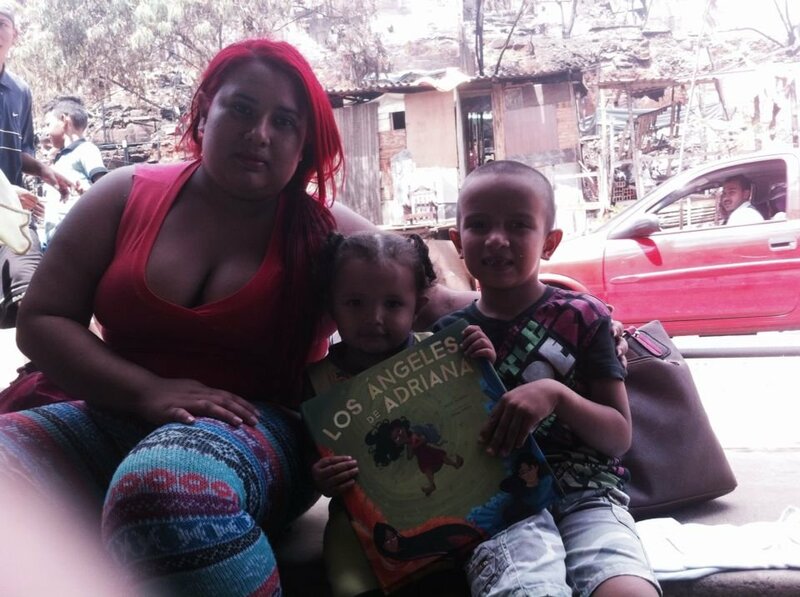 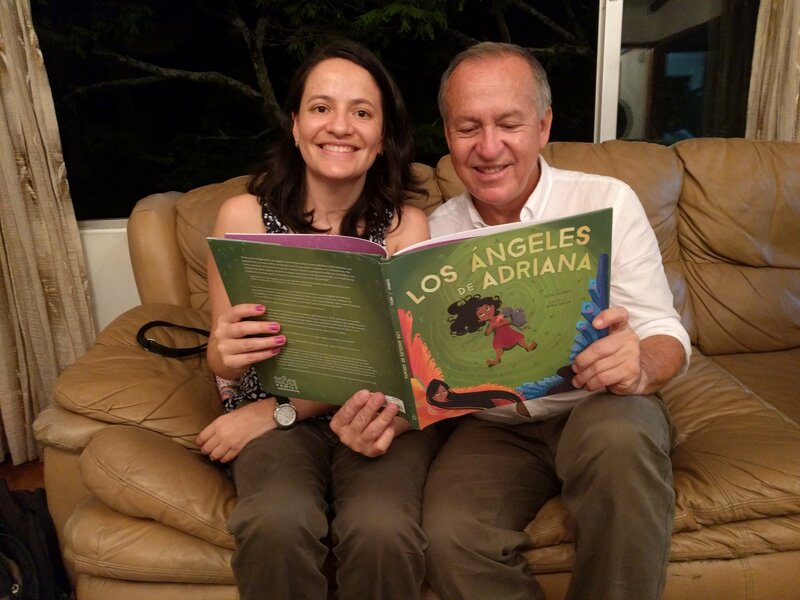 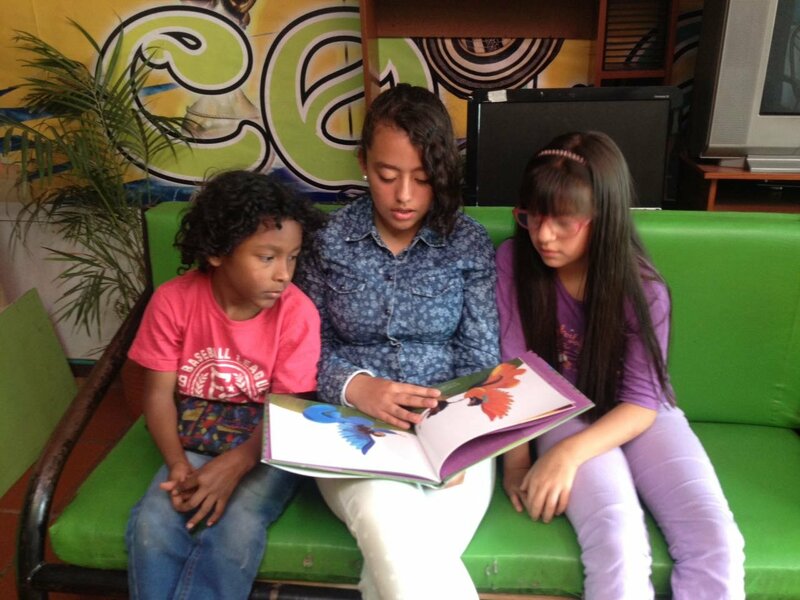 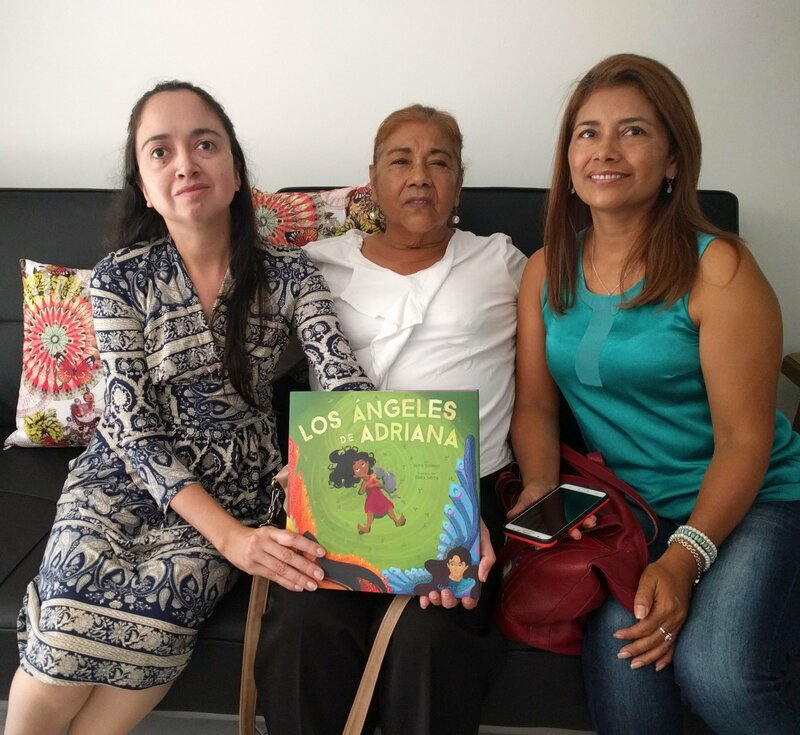 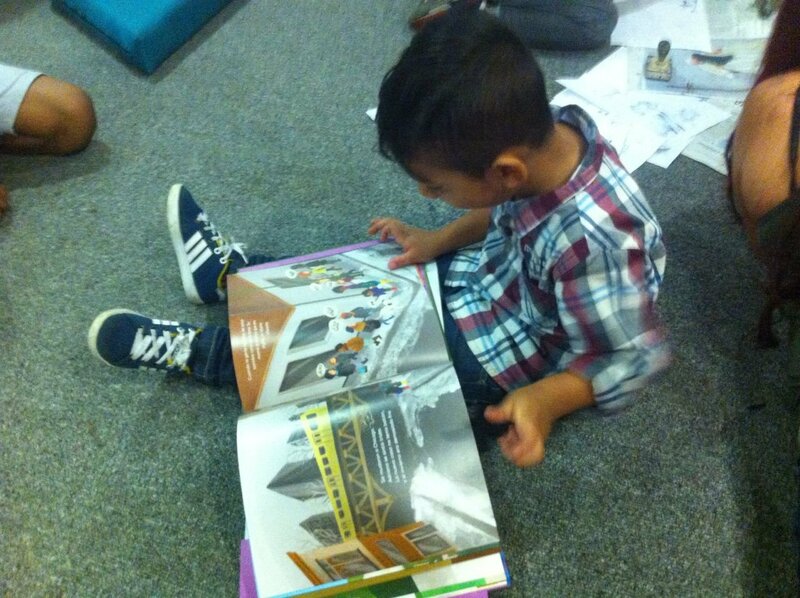 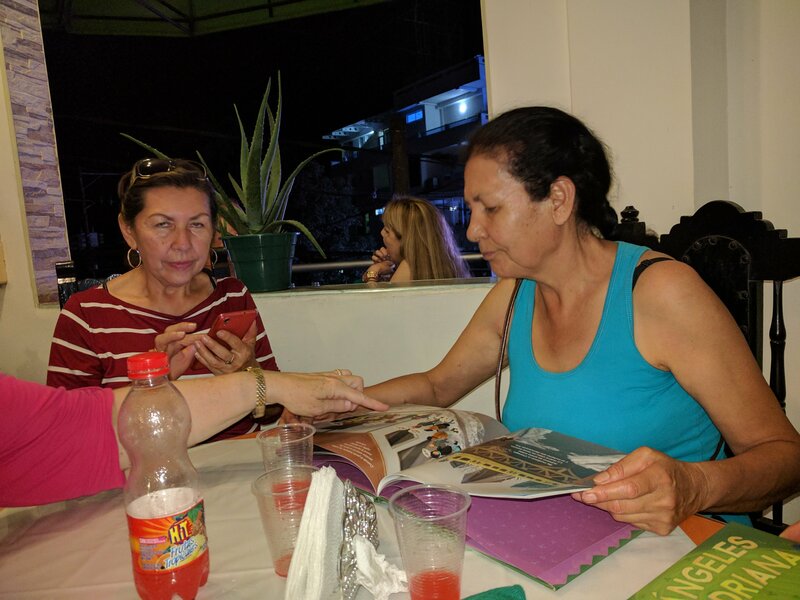 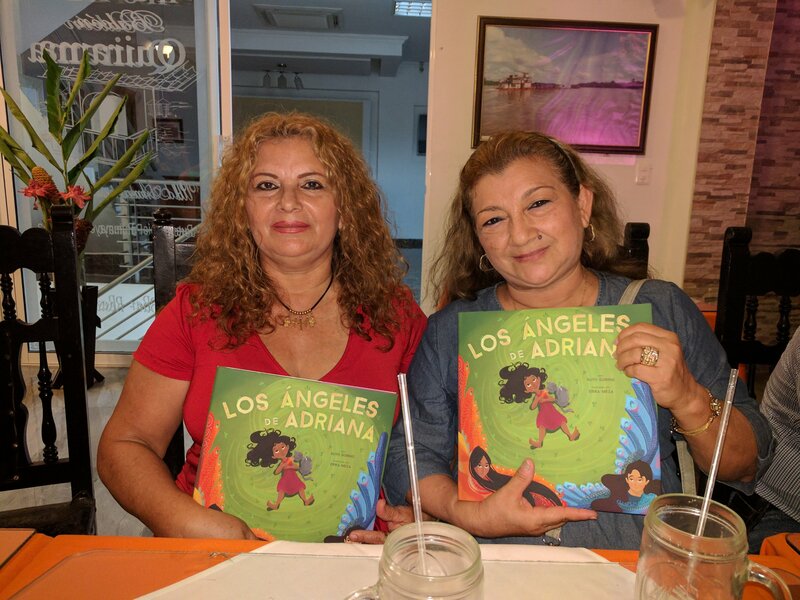 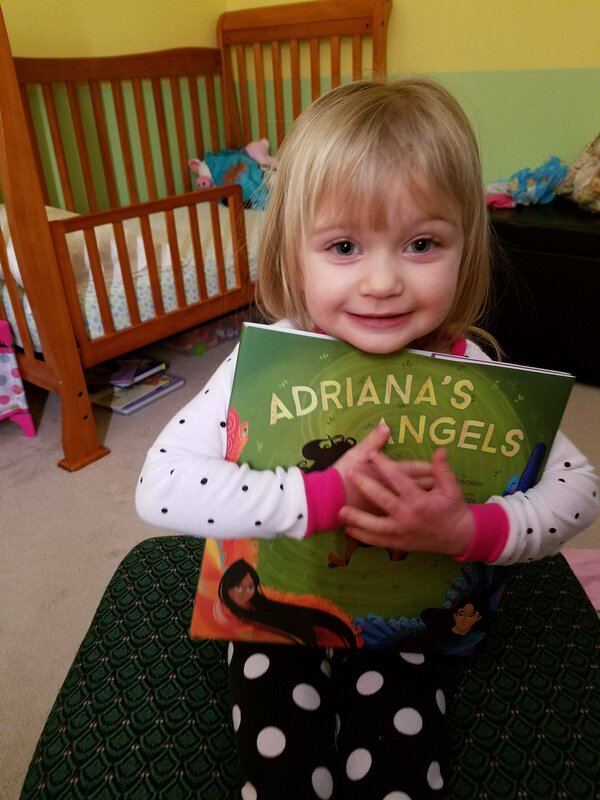 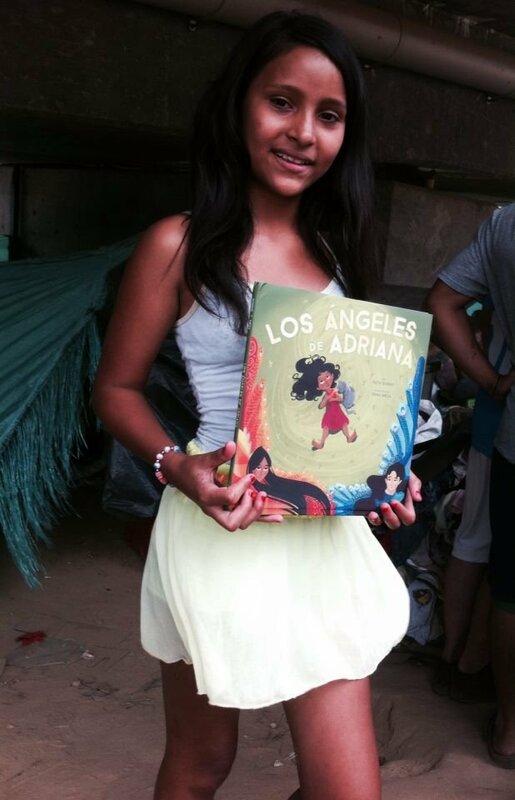 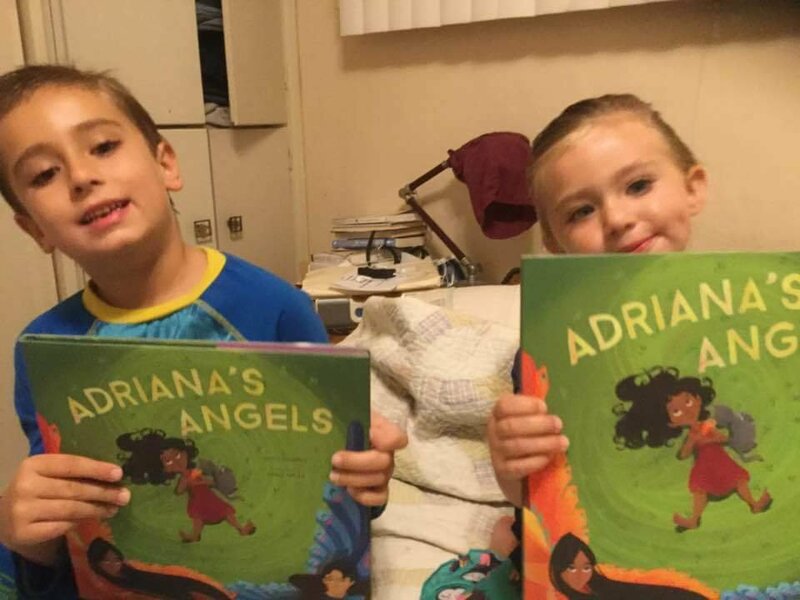 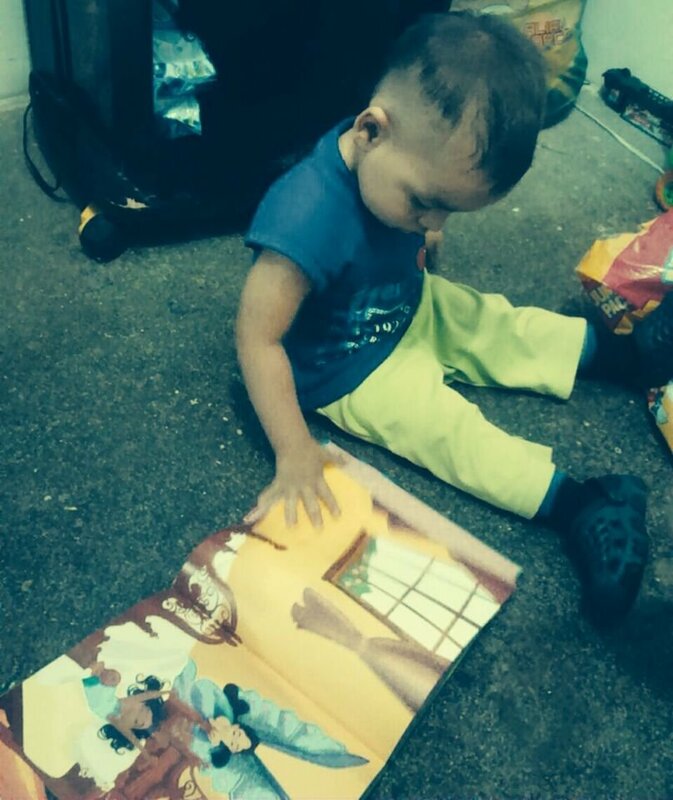 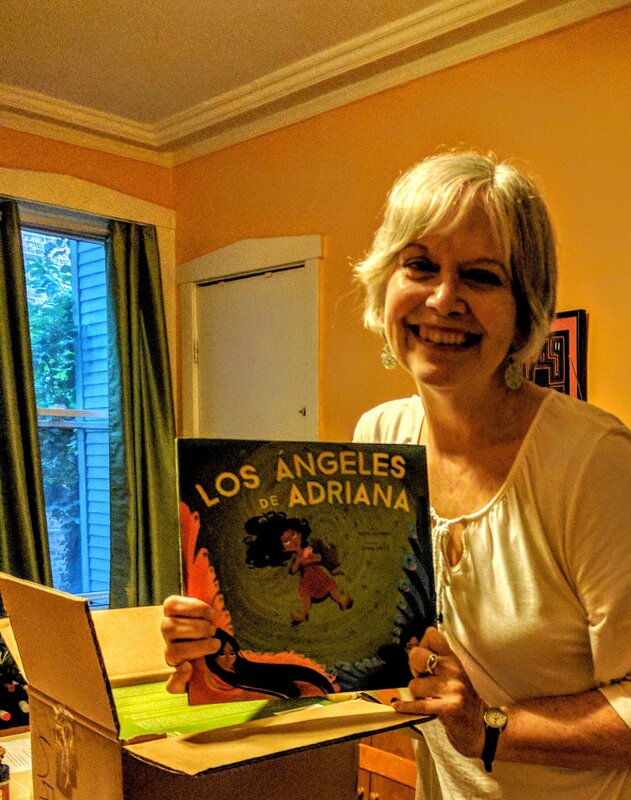 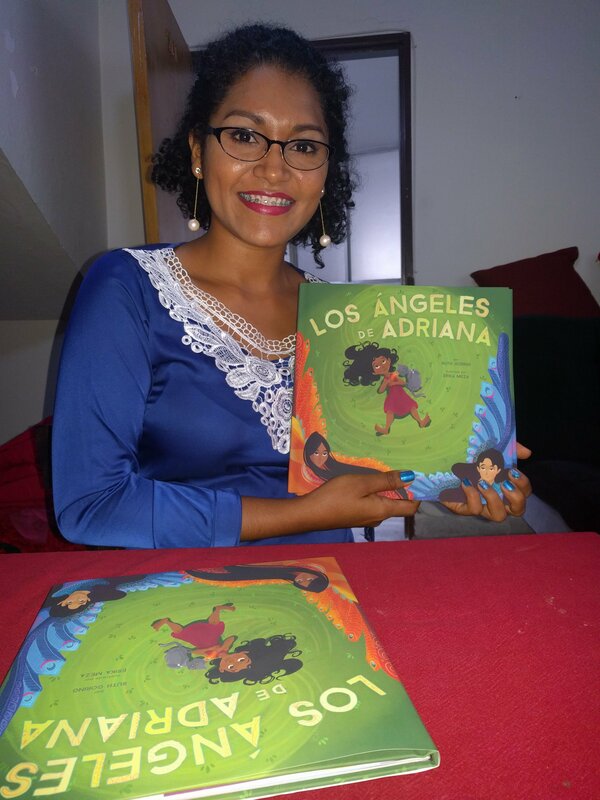 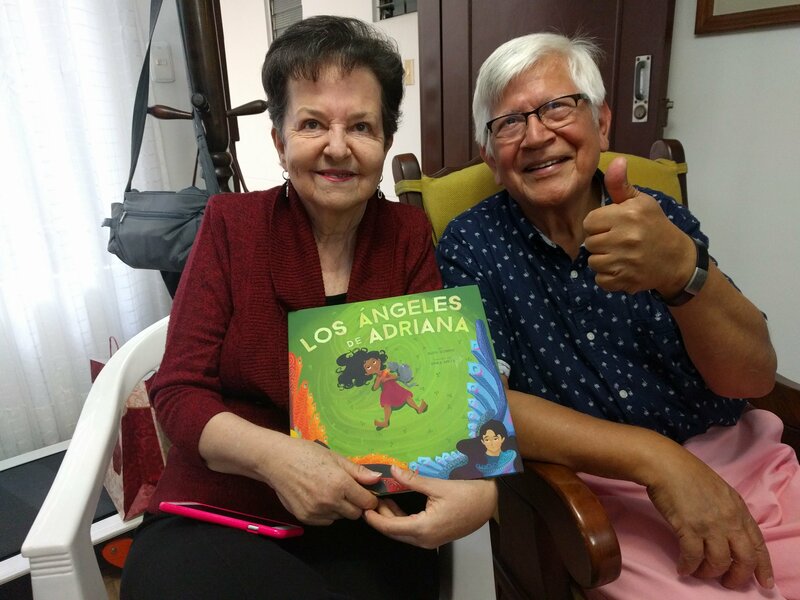 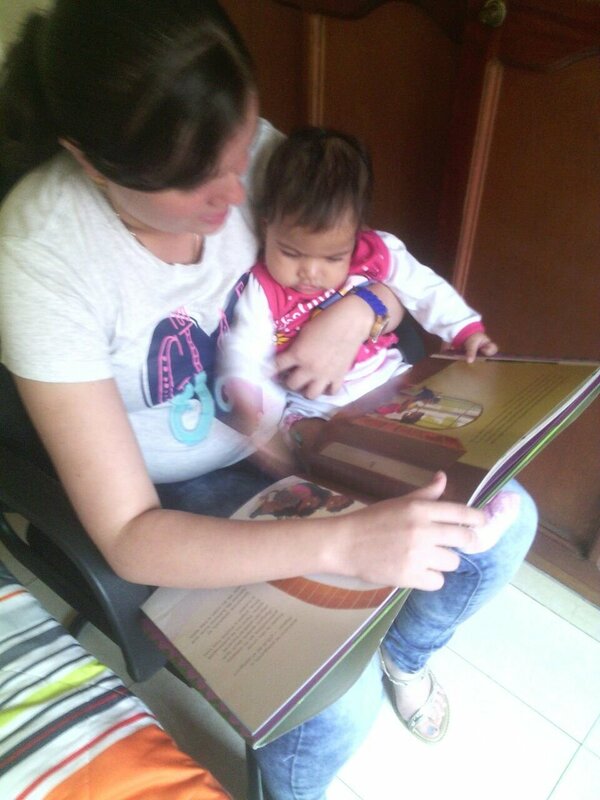 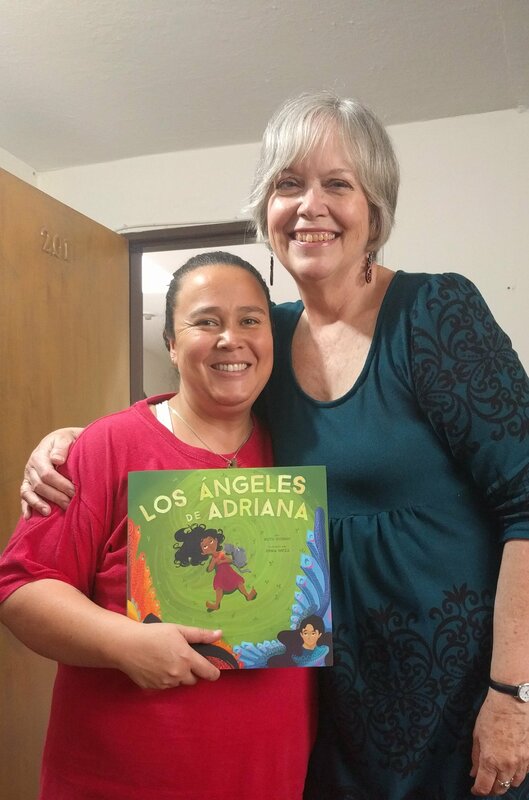 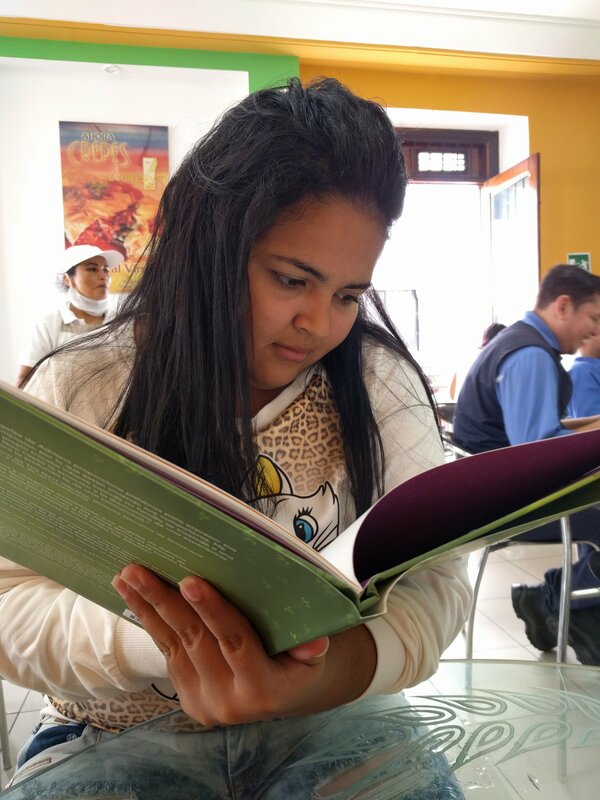 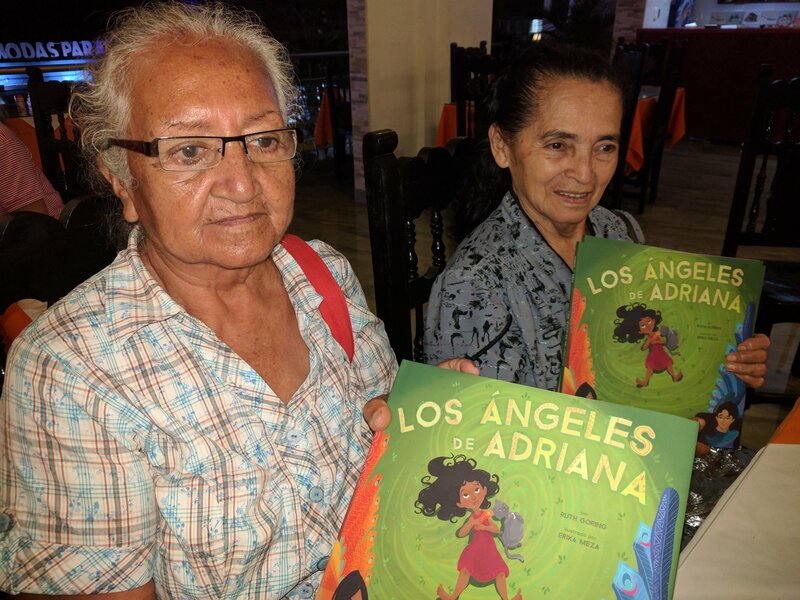 Below, folks in Colombia receive free copies of Los ángeles de Adriana! 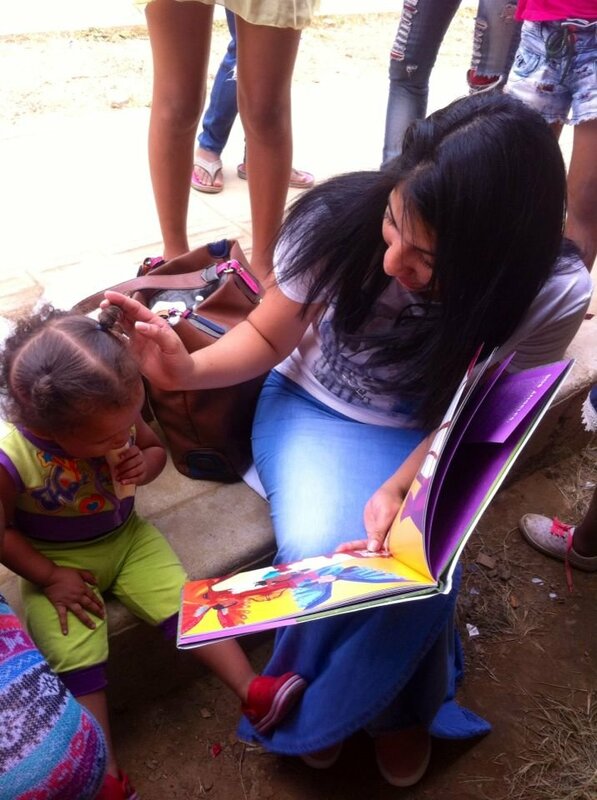 Many of them work with displaced families and children. 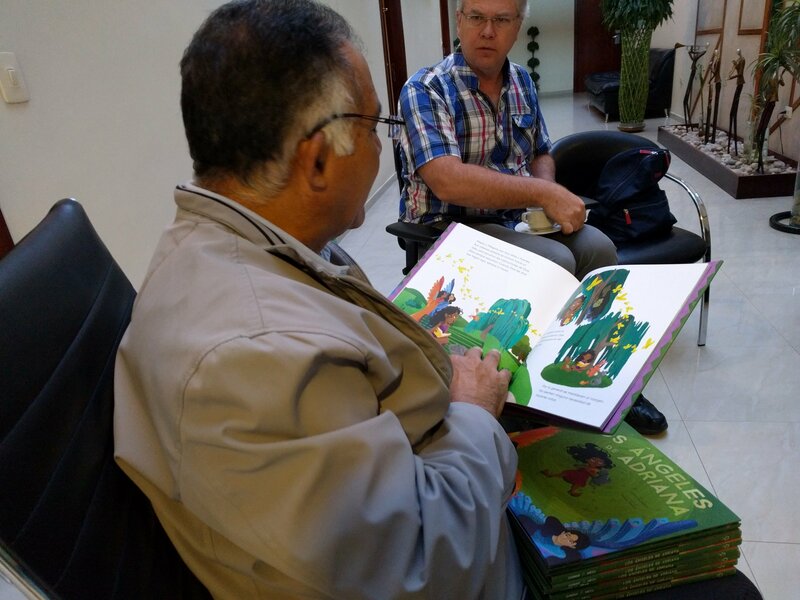 US donors made it possible for these copies to be given away.